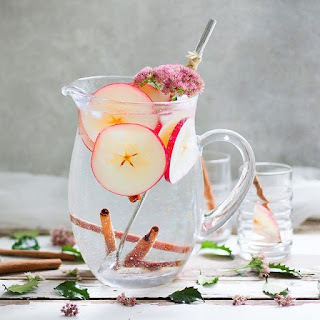 Recently, Infused water become popular because it is considered one of the complementary drinks for a healthy lifestyle which is rich in benefits. You might often see fruit slices soaked in drinking water? Well, this is called infused water. Infused water is claimed to be able to lose weight, help the body's detox process, also to improve overall health. So, is it true about the various claims of the benefits of the infused water? Find out the facts below. 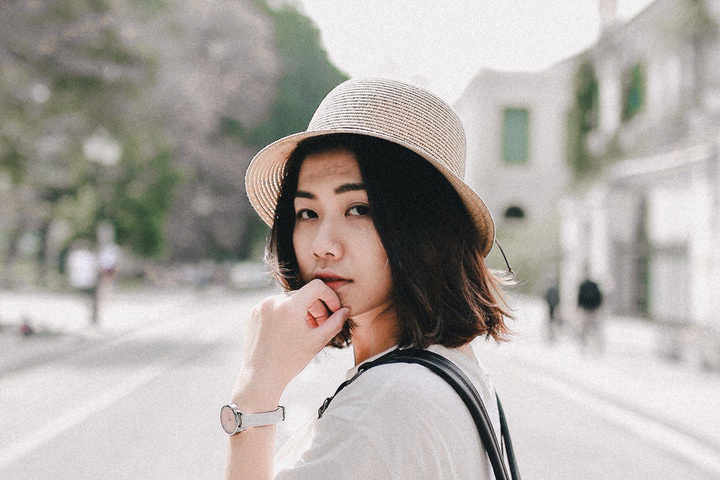 Studies have shown that drinking water naturally boosts our metabolism among other water health benefits, and drinking infused water for weight loss can be an easy way to increase our water intake. 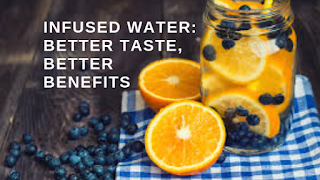 Infused water also called detox water, fruit flavored water, or fruit infused water; infused water can generally be any combination of fruits, vegetables, and herbs immersed in cold water. There are no special fruits, vegetables, or herbs to make infused water. The choice of ingredients is depends on what you like. While infused water has the benefit of being full of flavor, it also has no calories, making it a very powerful tool in your efforts to lose weight and gain better health. 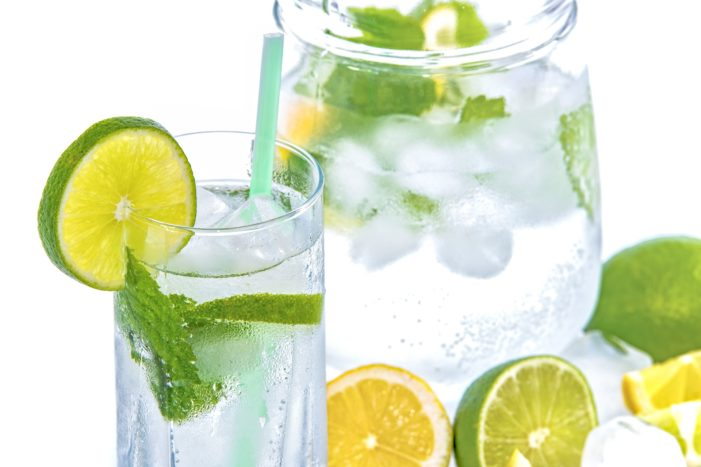 This lemon water detox recipe has only two ingredients, lemons and mint, you can taste the sweetness and sour from the lemons which create a delicious flavor while also providing lots of Vitamin C and the mint adds a refreshing taste. Drinking lemon water for weight loss is a great idea that you can do cheaply and easily. Try Lemon Mint Water for a refreshing family treat on a hot day. Cucumber Lemon Water is the ultimate detox drink. It’s got the great taste, and the health benefits of the cucumbers and lemon juice flush your system and help you feel better. 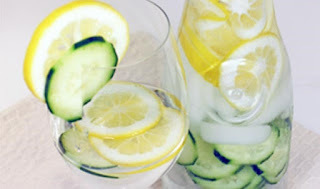 Drinking cucumber water for weight loss is also very popular recently because of one main reason, that is because it works well! This drink is often referred to as a flat belly drink. Plus, the apple in this recipe offers good-for-you nutrients that boost immunity and fight cancer. 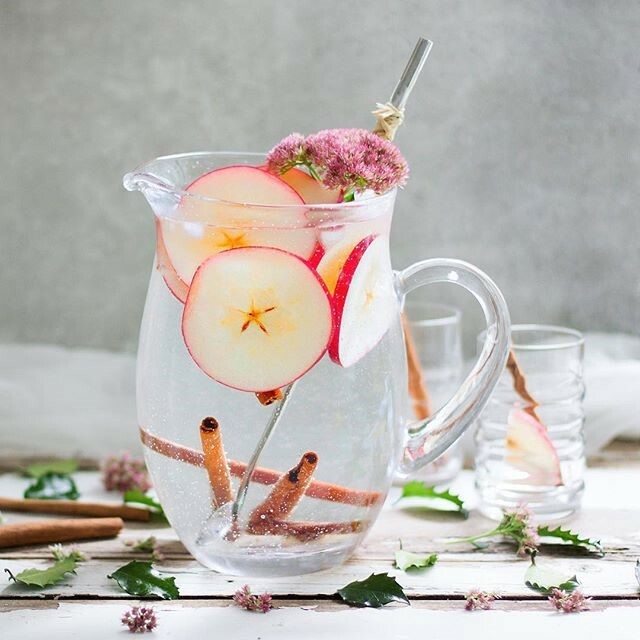 Add a thinly sliced apple (without the seeds) and one cinnamon stick to a pitcher of water. There’s really no right and wrong when it comes to measurements, so if you want a stronger flavor then add less water. On the flip side, if you simply want a hint of flavor then use more water. Load up on vitamin C and antioxidants with this drink. 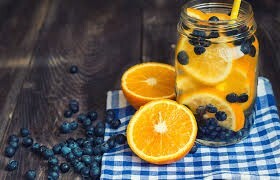 Simply add half a cup of fresh blueberries and a thinly sliced orange to a pitcher of water. Along with boosting our metabolism ginger also is a natural pain reliever, from migraines to menstrual cramps ginger heals a lot of pain. It also helps reduce morning or motion sickness and banishes heart burn! It’s no wonder this recipe is so popular! 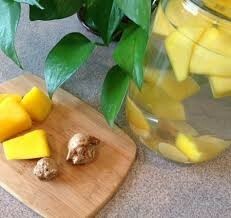 Just add some slices of ginger and mango to a pitcher of water to make this delicious and nutricious water. This is perhaps the favorite infused water recipe. It’s the perfect refreshment! 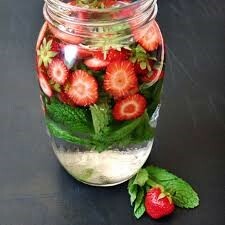 Plus, the mint leaves help to settle an upset stomach and the strawberries are rich in disease-fighting antioxidants. Cut one cup of strawberries in half and add them to a pitcher of water. Then stir in about four mint leaves. Copyright 2019 health and wellness.